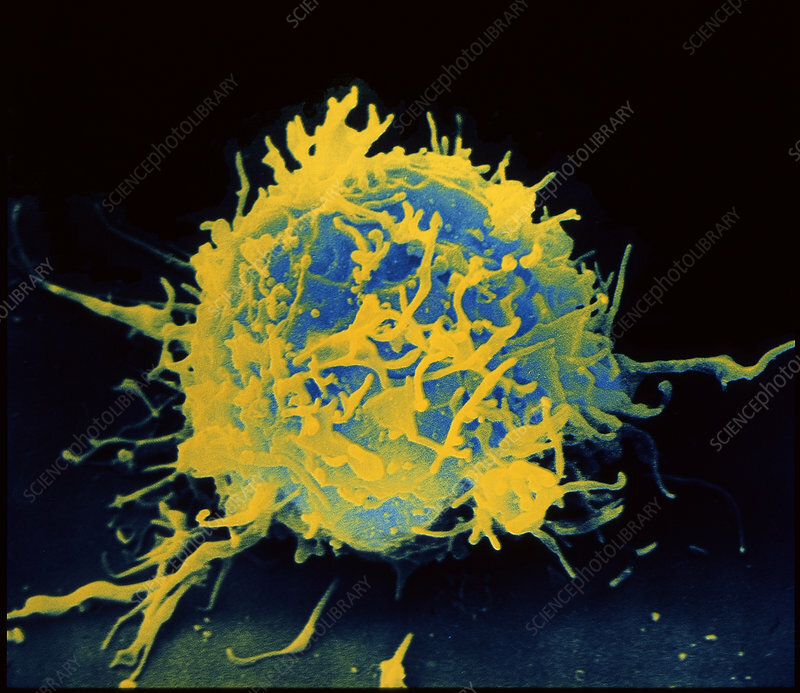 Coloured scanning electron micrograph of a normal T-lymphocyte, a type of white blood cell. Characteristic of normal T-lymphocytes are the long microvilli projecting from the cell surface. T-lymphocytes are susceptible to infection by the Human Immunodeficiency Virus (HIV), the causative agent of Acquired Immune Deficiency Syndrome (AIDS). There are three major types of white blood cells: granulocytes, lymphocytes and monocytes. Together they protect the body against the invasion of foreign substances and participate in antibody production. Magnification: x2750 at 6x6cm size.